800 athletes are behind me screaming in anticipation. U2’s “Where the Streets Have No Name” blares out of the speakers. After the countdown – 5..4..3..2..1…GO! – the buzzer screams, and we’re off. Running in the inaugural The North Face Whistler Half Marathon was, for me, one crazy awesome experience. I have never run competitively. But five years of traveling (and smoking) took its toll – something I realized when I was hunched over, gasping for air, about two minutes into a light and breezy run around the Whistler Golf Club. It was time to get back in shape. I hit the treadmill at The Core. When I heard on the grapevine that a half marathon event was being organized for Whistler – a 21.1 kilometre course tackling four major hills – I signed on the second registration opened. 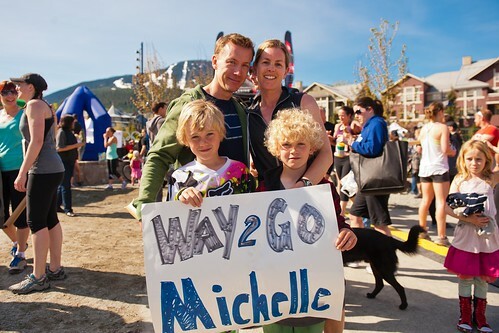 I soon noticed that Whistler is no stranger to running events, not all of which are ultra-competitive. (See this season’s upcoming events below.) 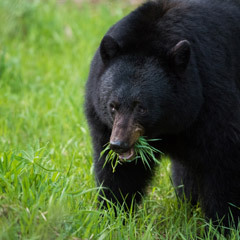 The 20 year strong Whistler Valley Trail Run (May 29) with its photogenic Teddy Bear Trot for runners age 10 and under, is a great example. Numerous running groups and clinics that are more social then competitive, such as the URUN groups on Monday – Thursday, cater to different abilities. 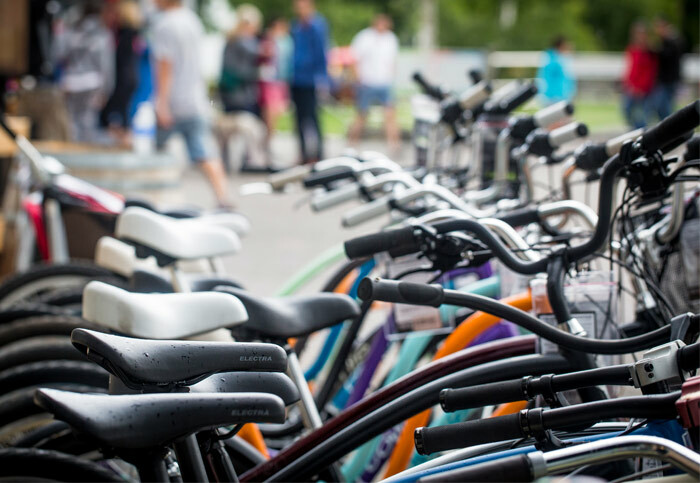 And local stores – The North Face, Lululemon, Source for Sports, Foot Locker and the new Run With It Accessories by Nesters, can help kit out experts and newcomers. While the treadmill was a good place to kickstart my training program, I knew I had to start running the Valley Trail in preparation for the Whistler Half. I enlisted the help of my friend Ondrea, known for running laps around Whistler day in day out, to get me out of bed at 5:30am for 8-10km of random routes. I was surprised to learn how much of Whistler I had not seen. As tough as that 5:30am alarm is, there’s no better time of day to discover Whistler and its best running loops. By far one of my favourite routes is the run around Lost Lake (approx 5km from the Village) at 6am. The view is to-die-for with the sun just about to break over the mountains and trees and clouds reflecting in the still water. Another favorite of mine is lapping the Whistler Golf Club (approx 5km from the Village). This route in the morning is a guarantee for bear sightings… Several times I’ve even had to wait for bears to get off the trail and let me pass. The run down St Anton Way out to Lakeside Park and onto Wayside Park is perhaps the most green, scenic route. Keep heading south and you end up behind Nita Lake Lodge. Continue along towards Nita Lake Park and you hit Alpha Lake Park, and eventually pop out by Bayshores. Cross the road at the intersection just a few more meters south, and head back down towards the village for a 15km loop, or cut it short at any point. So train I did, over and over. And it paid off. With adrenaline pumping through my veins, I gave it my all for the final push. Crowds were screaming, people were cheering and the music was blaring. I crossed the finish line – in 1 hour and 36 minutes. Now I might be addicted. 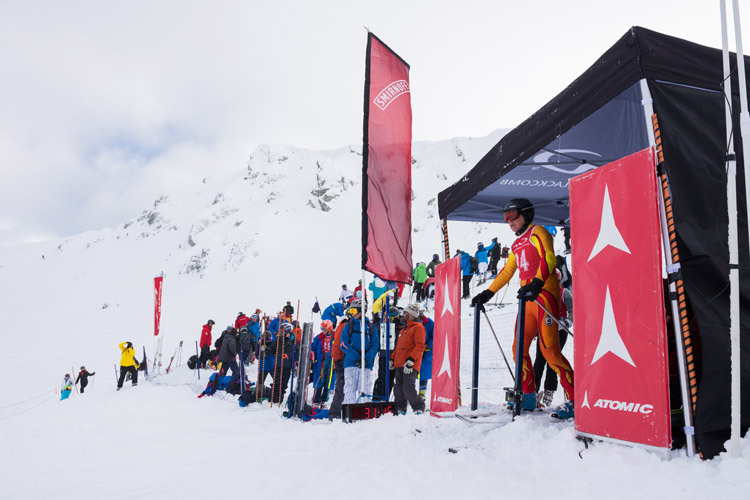 Watch out for Rohan at these forthcoming races in Whistler. Rookie, recreationalist and elite runners are all welcome. Comfortably Numb (June 26) is a 25km, race along an internationally recognized mountain biking trail. 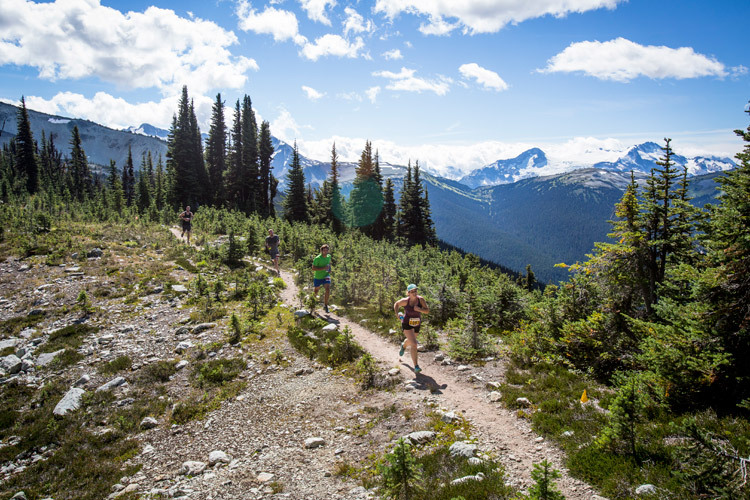 Another popular one for the locals is the Whistler 5 Peaks Trail Running Series (August 20). This trail run includes a 1km children’s route, a 4.9km Sport Course, a 10.6km Enduro course and a soon to be announced Half Marathon, all atop Whistler Mountain with the start and finish lines in the alpine, with steeps climbs and sharp descents. The Whistler Spirit Run (September 24) out at Whistler Olympic Park is a little less intensive, but something for everyone of any age, including a family fun run. 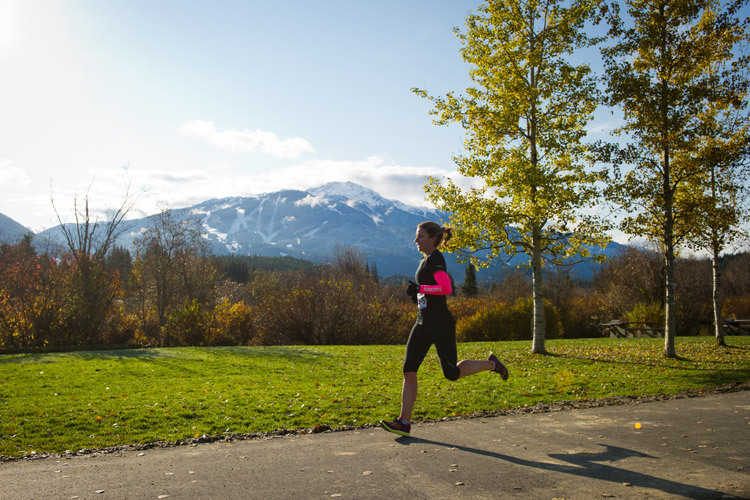 Whistler first Ultra Run, the Whistler 50, takes place November 5, can be run as a solo ultra-marathon or an 8-person fifty mile relay, with team members swapping out for 8km and 12km legs. 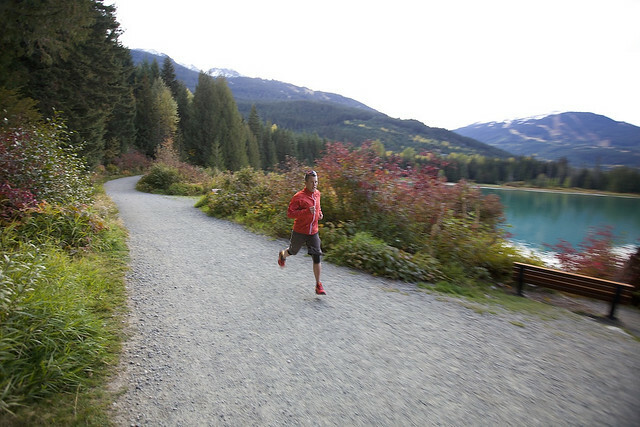 Check out this great local blog article: Where To Go Jogging and Trail Running In Whistler.